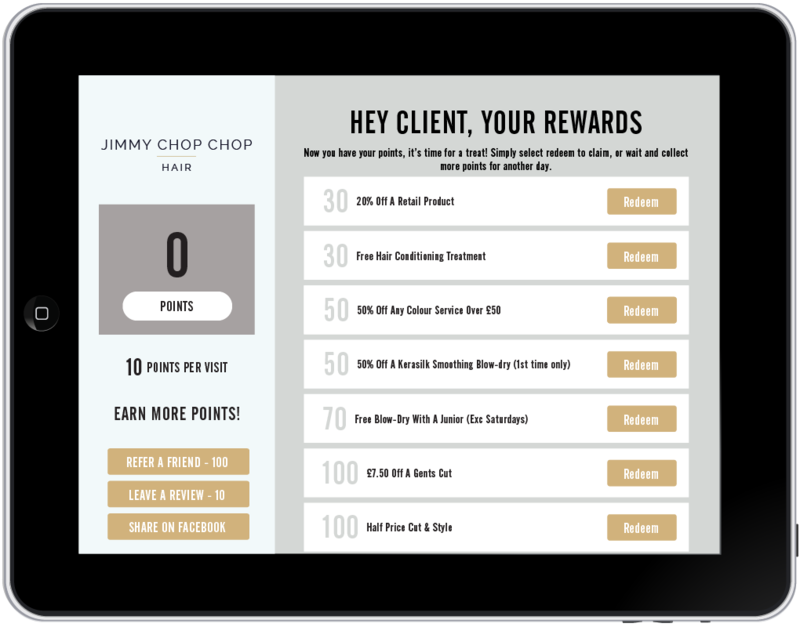 Earn loyalty points every time you visit the salon! 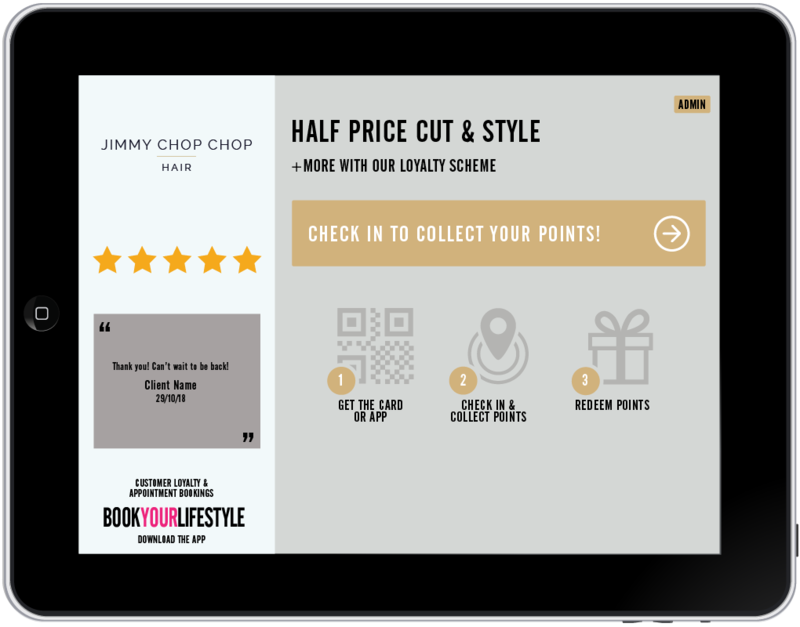 Grab a card from front of house or download the Book Your Lifestyle app. Scan agains the iPad on the front of house desk to “check in” and collect points. Redeem against our fantastic awards. 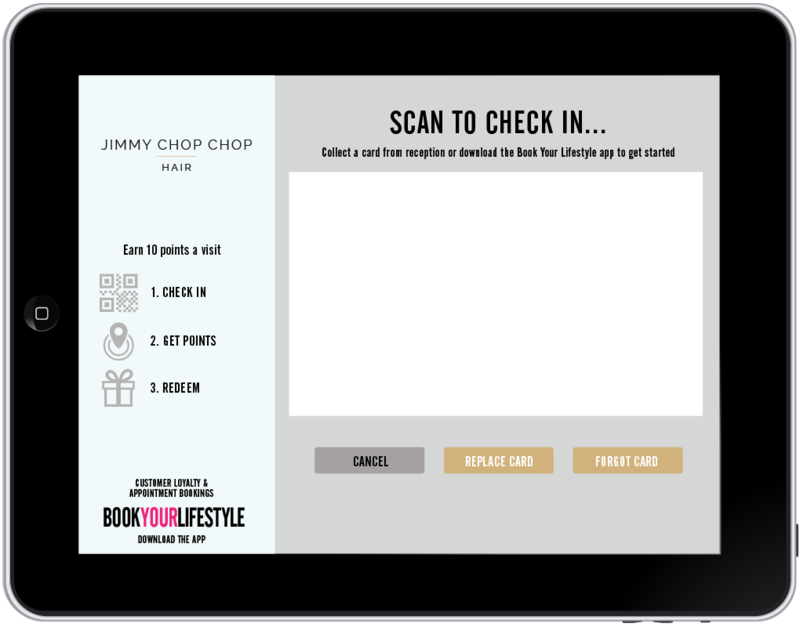 When you have completed your treat, scan in with your card or app on this screen. Place your card in front of the camera (which is shown here as the white space) to check in. You will then reach this screen where you can see you latest points total and if you have enough you can redeem against the offers shown on the right hand side. The card is for the named person only and can not be shared.The free treatment must be the same price or less in value than the cheapest treatment paid for. The free cut and finish cannot be used in conjunction with another salon voucher or offer, all other treatments must be full paying treatments. All treatments MUST tally with our computer booking system and we reserve the right to refuse the free treatment accordingly.